David Waldman has a long and successful track record working with publicly traded companies of all sizes and across a wide range of industries, including telecommunications, technology, industrial, financial, medical, and business services. He has built a reputation as a leading expert on communications best practices and has developed an extensive network on Wall Street. He has arranged hundreds of investor road shows and has provided communications counsel to senior members of management across a wide range of issues, including M&A, management changes, earnings surprises, crisis communications, Reg-FD disclosure, etc. 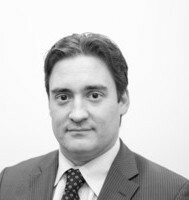 He has experience with companies that are both public and in the process of going public, including an in-depth knowledge of the unique challenges facing reverse merger companies. He has also worked with many foreign issuers tap into the growing investor demand for quality overseas emerging growth companies. Prior to founding Crescendo Communications, David served as vice president at a leading New York City based investor relations firm, as well as two other premier investor relations firms, where he was responsible for managing a wide range of accounts. He has helped his clients build their exposure on Wall Street by attracting institutional ownership, securing research coverage, and providing introductions to sources of capital. David also brings in-house IR experience having handled the investor relations for a multi-billion dollar satellite telecommunications company. David has a B.S. in Communications and Political Science from Northwestern University. He lives on Long Island with his wife, son, and two daughters, and enjoys fishing. Michael Lakshin has joined Crescendo Communications, LLC. in 2010 as a Managing Director and COO. Since joining Crescendo Communications, Michael has launched new services that have generated a pipeline of new business for the company by expanding the investor and client network in the U.S., European Union, and Former CIS markets. Michael E. Lakshin has a long and varied career with over 10 years of capital advisory and investor relations experience, over 26 years of start-up and senior business-management experience and over 30 years of experience with conventional and digital media, Internet, telecom, entertainment, advertising and marketing-communications companies in the U.S. and overseas. He has extensive experience in strategic planning, pre-IPO financing and other types of financing, as well as overseeing several successful IPOs in the U.S.
A serial entrepreneur, Michael has founded and managed numerous companies, including Connections Unlimited, LLC, a media, entertainment and marketing agency based in New Jersey in which he also serves as Co-CEO and Managing Partner. Prior to founding Connections Unlimited, from 2015 to 2017, Michael was the CEO of 8K Miles Media Group (“8K Miles Media”), a global media holding company that serves Southern Asian Indian markets. Michael helped 8K Miles Media to grow from inception to over $20M in market value in less than two years. Michael has also held other C-Level executive positions, such as CMO and COO, with responsibilities including strategic planning as well as corporate and IPO-planning. He has overseen 10 successful IPOs both in the U.S. and internationally, and has gained ample experience in building company culture, developing new business, and growing customer bases. From January 2008 to October 2009, Michael served as the Managing Director of Viriathus Concept where he was responsible for providing management consulting services to start-ups and early-stage private companies by addressing key growth areas such as strategy, marketing, pricing, innovation, product development, organization, leadership and economic competitiveness. Michael was also responsible for opening new international capital markets of Russia and former CIS countries and developed new business pipelines worth over $500MM. From June 2007 to January 2011, Michael worked as VP of Marketing, CEO, US Operations, and Board Member for KREP Ltd., International Real Estate Investment Company with headquarters in Moscow, Russia. Michael was instrumental in company restructuring as well as creating growth and organizational strategies in both, domestic and international markets that lead to KREP being able to achieve over 40% APR in 2007 and 2008. Michael helped the Company to successfully establish operations in the US by forming strategic partnerships with sponsoring investment bankers and broker-dealers and was in-charge of managing the filing of the Company Registration Statement (Form 20-F) with the SEC. Michael’s other experiences include CMO of Touchtone Technologies, located in Bedford Hills, NY from January 2002 to November 2006. 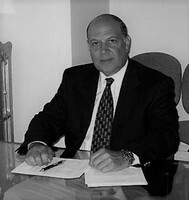 Prior to joining Touchtone Technologies, Michael was Vice President, Sales and Marketing of Empire One Telecom in New York from January 2000 to January 2002 and before that served as Executive Vice President, New Business for Internet Advertising Agency Spinnet.com located in Maywood, NJ from October 1998 to January 2000. Michael earned an Executive MBA from Rutgers Business School with a dual concentration in Supply Chain Management and Internal Consulting, and Marketing. 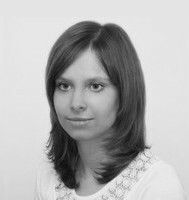 Natalya brings years of marketing and public relations experience to the company. She has represented emerging growth companies to large-cap companies. She is responsible for managing the company's accounts, including writing press releases, message development, research, conference call scripts, consulting, planning investor road shows and handling investor inquiries. She has worked with numerous companies from a diverse range of sectors such as: technology, biotech, healthcare, and environmental services. Natalya holds a B.S. in Nutritional Science and a minor in Marketing and Communications. Mr. Leeds started his Wall Street career with Merrill Lynch in New York and went on to become a member of the American Stock Exchange. He began raising capital to form Limited Partnerships to take advantage of the then current tax laws. He then purchased a private ambulance service, managed the day to day operations, grew the company, and later sold to an entity that became the largest private ambulance company in the U.S. in a deal backed by Morgan Stanley. Mr. Leeds served as Vice President of Marketing and Sales for this $70 million company. Currently Mr. Leeds consults for microcap companies across the country. He advises them, based on his operational and capital markets experience, on creative ways to maximize their marketing dollars. He assists in helping them find the right Wall Street partners to accomplish the company's mission. Mr. Leeds seeks to help maximize his clients' shareholder value through innovative investor relations programs including non-deal road shows, investor conferences, media and public relations. Mayya has over 15 years of experience in the fields of financial, strategic and operational management. She is a dynamic, results-oriented leader with a strong track record of performance in high-paced organizations. Mayya has an ability to utilize a diverse range of strategic and tactical experiences together with sound analytical skills to drive organizational improvements and implementation of best practices. Superior interpersonal skills, capable of resolving multiple and complex (financial, operational, legal, human resources) issues and motivating staff to maximize organizational performance. Prior to joining our team she held managerial positions at other dynamic organizations including CFO and Managing Director at UBP Asset Management LLC and a Senior Financial Analyst at Fairfield Greenwich Group. She began her career in the Audit Practice at Price Waterhouse Coopers LLC. Justyna brings an extensive background in finance and accounting with specialties in the biochemistry, biophysics and biotechnology fields. 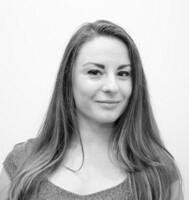 She has extensive knowledge of both the international and Polish capital markets, as well as corporate finance, having worked as a Financial Analyst for Credit Suisse Poland as well as a Business Planning Junior Specialist at LG Display Poland. Justyna received her Master’s degree in Finance from the Wrocław University of Economics and studies at the Jagiellonian University in Kraków for her postgraduate degree in Business in Biotechnology. She is a licensed securities broker and she passed the NewConnect Alternative Trading System Adviser examination. She is participating in CFA Programme.